Hope. Funny how hope means different things for different people. Stephanie Vance, Manager for Together for Hope, the Cooperative Baptist Fellowship’s rural poverty initiative, hopes workers’ stories from around the country encourages, engages and renews communities wanting change. Hope for the teacher in rural Mississippi is their students have food everyday and money for backpacks. These communities have different definitions. However, as Christians, we can boil it down to the hope for the Kingdom of God to be present daily here on earth as it is in heaven. Hope is peace that Paul reminds us in Galatians that all lives are equal in the eyes of God. The “Community Development and Mission in Your Church’s Backyard” workshop at the 2015 CBF General Assembly was a reminder that the South Dakota church, a body of believers, is no more important than the struggling community in Helena, Arkansas. We must be honest with ourselves that we are not superior to those impoverished areas in rural and urban America. Paul would be upset that we use our “label” as Christians to impose superiority and discrimination. Jesus Christ called us to love one another and redeem the world. Together for Hope is located across ten states. I heard from five of those locations. Each region talked about how they could not be the saviors of these local areas. The only Savior is Jesus Christ. These disciples learned that they are there to listen and build people up. Relationships are critical for a community to grow, which requires us to live out the gospel as servant leaders. Community development must contextualize the culture and be willing to invest in the people. When people see someone is willing to sit at the table as equals, they are more willing to open up and respond. Finding common goals is central to bringing people together to overcome obstacles and encourage sustainability. It allows relationships to grow and develop naturally. When these relationships come into fruition, reconciliation takes place and allows the gospel to take hold. Something I learned in my own faith walk and time in seminary is that following the rules can only get you so far. We need that grace-filled relationship with God. There was a point in my life that churches’ words hurt worse than any physical pain I ever experienced. As I forgave, grew in my faith, and answered a call, I knew that real ministry encompasses both evangelism and compassion (or missions for the more seasoned Baptists). It is reaffirming to know that many people feel the same. We need to back up our words of faith with real authentic living. Today, I strive to be a bi-vocational minister. I work for a non-profit in North Texas, trying to make sure quality non-profits can be sustainable. My passion is establishing a sports ministry on the campus of a small private college. I realize that my own life experiences have been beneficial to helping others follow good business practices while at the same time encouraging their passion to live out the gospel. Being bi-vocational has its challenges and rewards. I cannot evangelize publicly at work, but people often notice there is a presence that encourages discussion and allows them to see authenticity. My hope is that through Together for Hope, CBF, and our local congregations we can all embody the Church as equals. 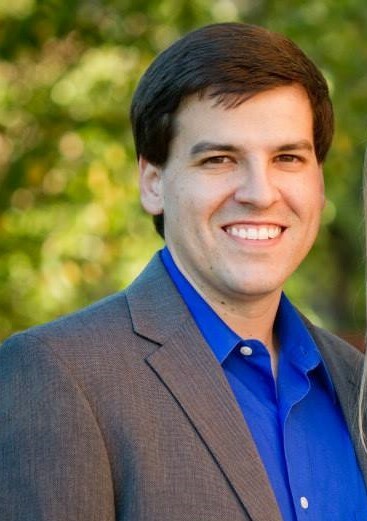 Edwin Clark serves as Community Investment Director at United Way Grayson County located in Sherman, TX. Edwin received his BBA from Mississippi State University and his M.Div. from George W. Truett Theological Seminary at Baylor University.